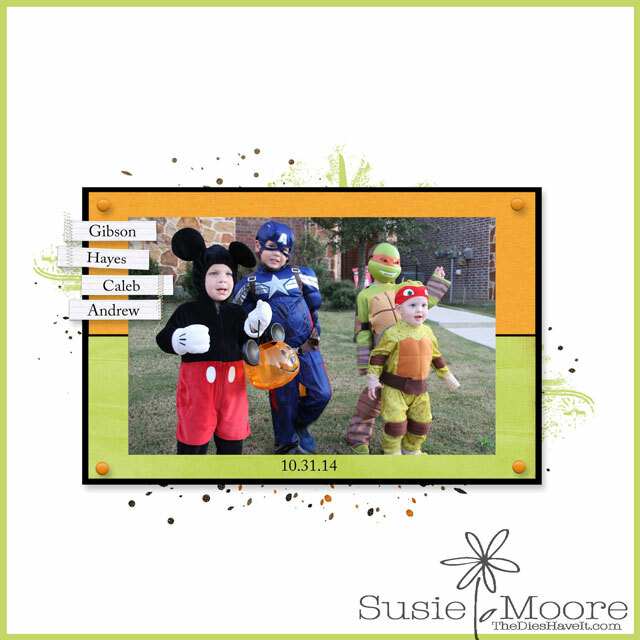 I am still working on my grandsons' 2014 book, so here is a layout from last October. These boys are so lucky to have pals with whom they love to play. 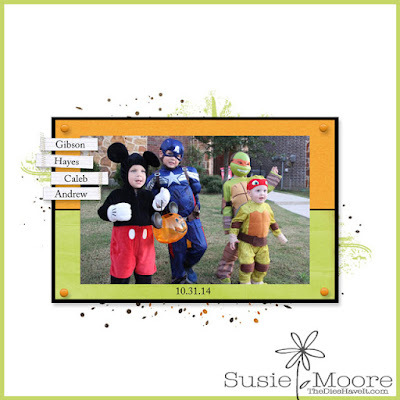 Halloween trick or treating was just one more reason to get together and have some friend time! Have a wonderful day and make some memories to share!